DOZ Model Arts Co., Ltd.
# Model Scale 1/43. # Pure Handmade Craft. # High Quality Resin Material. # Excellent Piano Lacquer Painting. 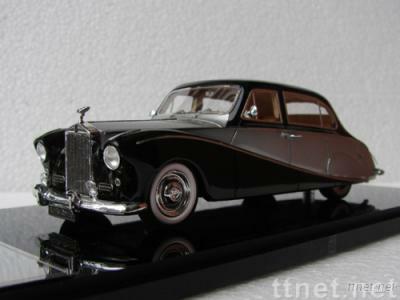 # Top limousine---Rolls Royce/Bentley/Daimler------Totally different from common diecast model car, because of the unique new workmanship. Splendid handmade crafts, even a tiny spring, reflector or doorknob is assembled by hand. Made of high quality resin material, very delicate details inside and outside. With steering wheel, dashboard panel, pedals, rotatable open doors， rotatable rubber tire and so on. Excellent piano lacquer painting makes deluxe artistical appearance.